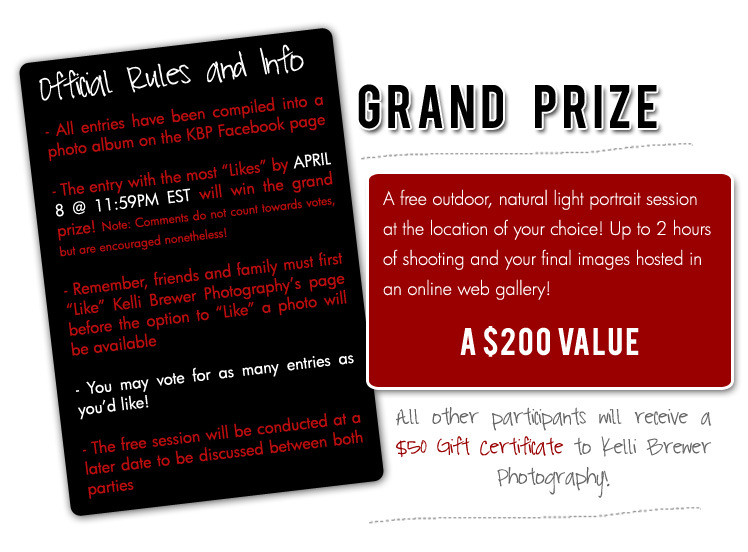 Head over to Kelli Brewer Photography's Facebook page to start voting for who you want to win in the Awesomely Bad Photo Contest! If you submitted a photo, now is the time to start spamming your friends to "Like" your entry. Voting is open until April 8 @ 11:59PM EST and the winner will be announced Saturday!